Display your most favorite photo of your fuzzy four legged friend using our Engraved Paw Prints Black Frame. These Customized Picture Frames include FREE Personalization of any name. (i.e. 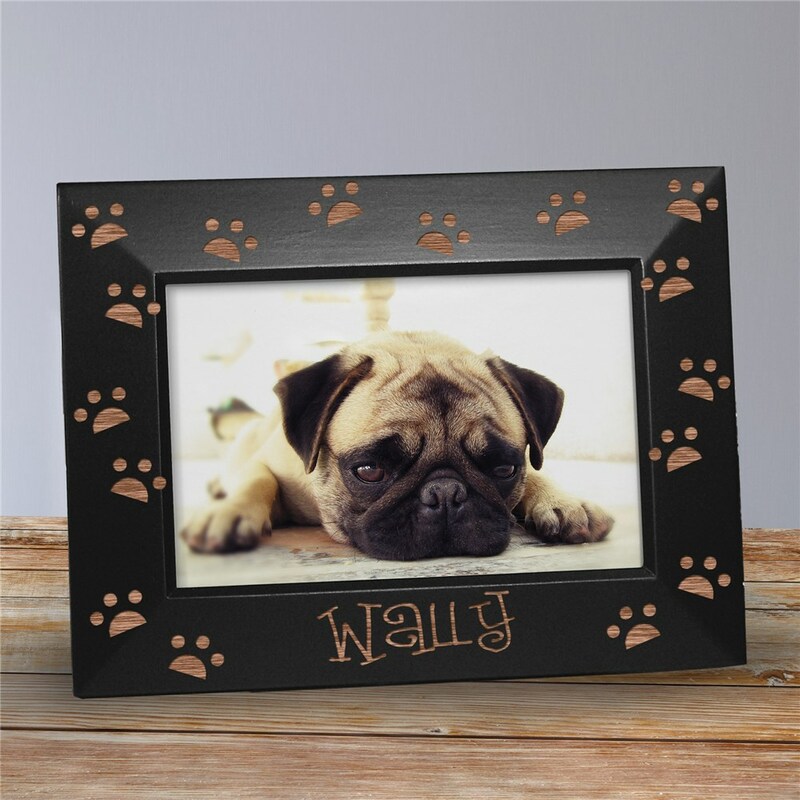 Wally) Order one today and honor your special pet with a photo of them on your shelf or mantel. It is absolutely beautiful...!!! It is NOT a cheap stamped on frame....even the "paws" around the frame are cut out. I am VERY pleased with this purchase and so will the recipient. So cute! I purchased as a gift for a friend. I'm sure she will love it. Turned out great. Only wish it could be used as a vertical frame with the wording. Pet lovers will love our personalized pet gifts! Our personalized gifts are amazing for showing someone you really care. It's easy to find unique gifts for every occasion when you shop with GiftsForYouNow online today.